Here's a cat who knows how to make the news - by interrupting it. This week, during a live broadcast of the Turkish television program "Good Morning Denizli," an uninvited visitor decided to drop by the studio to make a surprise appearance. 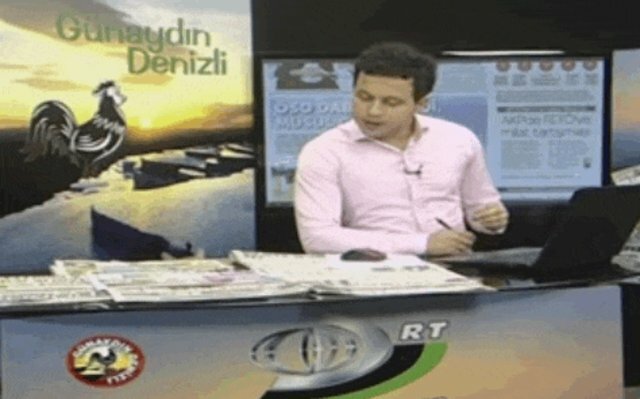 Smack dab in the middle of presenter Kudret Çelebioğlu's reading of the news, a random stray kitten leapt onto the desk - and headed straight to his computer. "As you know, winter is coming and cold weather is passing through," he said. "It's an unexpected guest, [but] we should cuddle him. We should open the doors to stray cats and give them water and food [...] We all should take care of them somehow." And that's just what he and his colleagues did. After the broadcast ended, the kitten was given a meal and a warm place to cuddle - and then so much more. 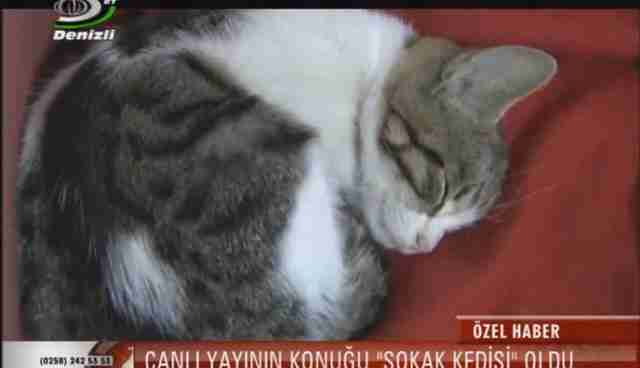 As the Daily Sabah reports, an employee at the studio decided to adopt the cat, giving him the name Hüsnü. Now that's a good news story.